One of the first questions Client’s often ask is, “How does this work?” Even if you have worked with a designer before, we understand most people feel more comfortable when they know what to expect. Today’s post sheds light to see what goes on, not just when we are face-to-face, but also what we do when we are away, working on your behalf. Whether it’s a one-room refresh or building from the ground up, our full-service design follows a tried-and-true 7-step design process. With hundreds of projects under our belt, we know what works. This is it. There are smaller steps within each of the 7 steps so we’ll break those down for you here. Note: The images below are photos from various real projects. I've chosen to show multiple projects to protect the intellectual property of clients and also demonstrate the breadth of project styles we enjoy. On-site Consultation - We’ll start with a 2-hour in-home consultation to walk through your home (or review drawings if it’s a new build). We’ll get clear on your design goals, investment, timeline, and your personal style/taste. Some people have a strong sense of their style while other’s need a little help figuring that out. We can work with both! New Client On-boarding - Now that we are clear on the project scope we can provide an estimate of hours for design. We base this estimate on two key factors: past projects similar in nature and the scope of your unique project. We’ll send you a Client Agreement and request a retainer for design service to commence. If there are furnishings you would like to keep, we’ll take inventory of each item noting photos and dimensions to make room for them in the final design. Mood Board - Next, we develop a mood board to reflect our interpretation of everything you’ve told us so far. This is an important first step so we can be sure we are heading down the right path before spending time designing something you don’t like. Programming - We will summarize our notes from our on-site consultation so we are clear on our overall goals moving forward. Approval - You will receive a PDF Mood Board and Program for you to review and comment on before we dive into the details. Now that we are all on the same page for the design style and goals, its time to really roll up our sleeves. Trade Day - We’ll schedule time to meet with any tradespeople deemed necessary for the project to be completed. We stagger trades in 30-minute increments and go over the design so they can provide us with a detailed quote to present you. This may be a general contractor or it may be us meeting directly with the painter, tile setter, wallpaper hanger, electrician, etc. We provide each trade member with a detailed "Request for Proposal" for more accurate estimates. Drawings - We’ll move the pencil and paper sketches into our software to create professional and detailed drawings. 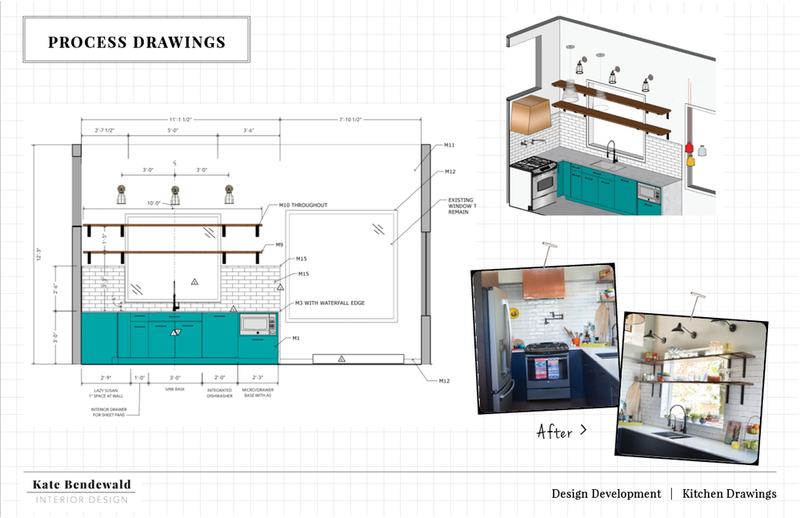 If we are working on a kitchen or any built-ins, we prepare 3D views of those designs. Dimensions - Does it fit? Style - Does it reflect you? Price - Does it fit in the budget? Lead Time - How long will it take to arrive? Is it worth the wait? If an item meets all 5 of these criteria, it’s likely to make it to the presentation and therefore called a “specification” or “spec”. Collecting Samples - We’ll collect as many material samples necessary for a project. Large projects may have over 100 samples while smaller projects will have 20-30. We don’t rely on computer screens for color or texture. This samples often come from our in-house library or requested from our vendors. Presentation - Once we have the selections, samples, drawings, and quotes we’ll meet on-on-one to present everything to you along with a proposal. You’ll have a chance to approve items, ask questions, or request additional options. Bonus! We use a project management software that allows us to make real-time edits together and also allow you to see all the details online even after we leave. You can even comment on specific items should discussions arise. Payment - We will collect payment for the proposal that goes into a trust in order to move to the next phase! Purchasing - After the payment for the proposal has been received, we will place orders for all approved merchandise. We maintain a strict internal process for this phase, ensuring all details are accounted for. Once everything has been ordered, we can estimate a date for installation. Tracking Orders - Remember those orders that were placed several weeks ago? We didn’t forget about them and “hope” they arrive on-time an in one piece. We check weekly on every item until each one is accounted for. It has been my experience that items going on backorder or arriving damaged is inevitable. With Full-service Design, this isn’t your problem. We have a simple process for ensuring a replacement as quickly as possible. Accessory Shopping - A few weeks before the installation, we will determine what you already have to work with and develop a shopping list for the rest. We spend a day sourcing items that we think will be a good fit. This will allow you to see them on install day styled in-place and keep what you like. Revisions - After the Design Presentation and meeting with trades teams, we’ll identify and make any revisions needed for the drawings and specifications. Site Visits - As necessary, make any site visits to discuss design, timeline, and problem-solve. Merchandise Delivery - Once the interior construction and/or finishes are complete, delivery is scheduled for furnishings and accessories. Upon arrival, a final inspection of each item is conducted. We require that you are away during this time so we have room to work and also preserve the reveal for the end. 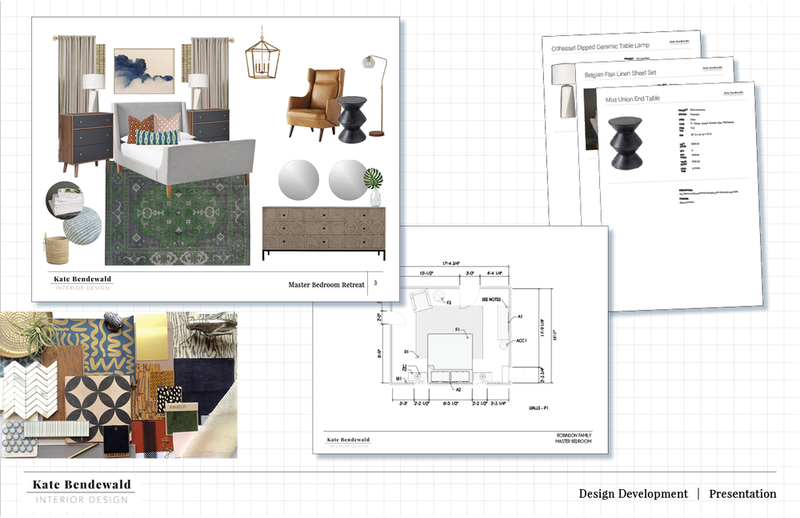 Installation and Styling - Furnishings, art and accessories will be arranged in preparation for the Big Reveal. 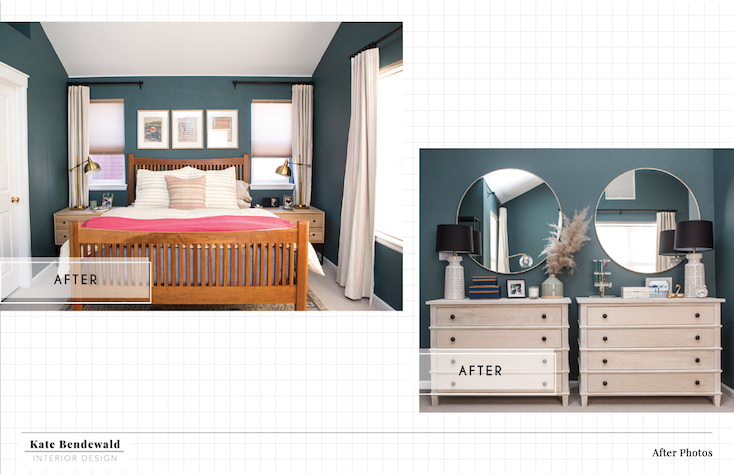 Client Reveal - When all is done, we will invite you back and reveal your new space. We work hard to ensure the dollars you invest in your home are well appropriated. We measure this by seeing you: at a loss of words, shedding tears of joy, or whispering a few Oh-my-God's. Deficiencies Identified - If there are any outstanding items (i.e “deficiencies”), we identify those in a list that becomes part of our tasks the following week. Photoshoot - A photoshoot will take place to highlight the end results. Accessories - Any accessories the you decide to not keep are set aside for pick up to be returned. Deficiencies Resolved - We handle any items on the Deficiencies list in a timely manner and keep you apprised of the status as needed. 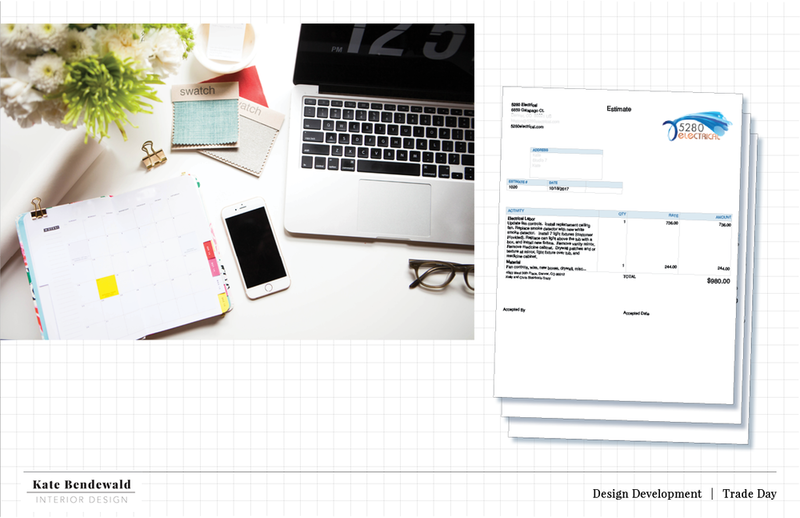 Presentation of Client Binder - A final binder will be presented with information regarding your project to keep for your records. Hey...High five if you're still reading. I hope this helps you understand our process better and gives you the confidence you might be looking for to work with a designer. This isn't "The Kate Show". My job isn't to come take over your home. 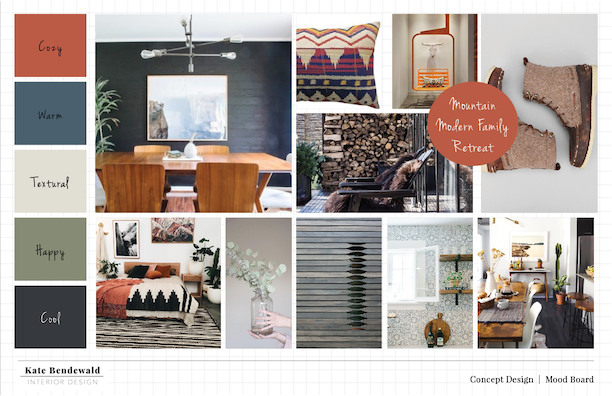 Rather it is to artfully and thoughtfully curate a well-designed home that reflects you and your family. It is to work on your behalf to filter the millions of decisions along the way presenting you with the best options and advice I can give. Are you ready to tackle a project together?